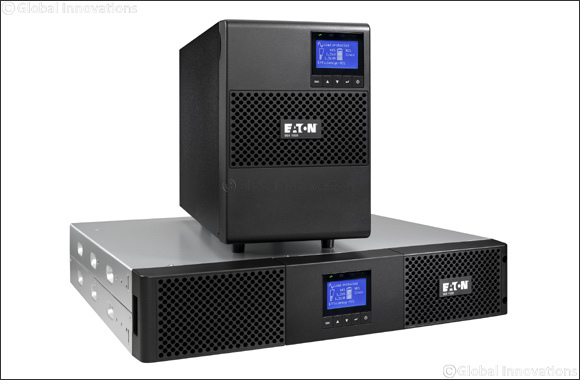 Dubai, United Arab Emirates, September 3rd, 2018: Power management company Eaton today announced the introduction of lower power-rated models to its 9SX Uninterruptible Power Supplies (UPS) in Europe, the Middle East and Africa (EMEA). The Eaton 9SX UPS offers high availability, flexibility and advanced protection for IT and small data center infrastructure, as well as for networking, storage, industrial, medical and telecom applications. The new models extend the existing product portfolio of 5-11kVA UPS models across a larger power range from 700VA to 6kVA and are available in tower and rack formats. The range will be available from September 2018. The 9SX range features Eaton’s market-leading technologies to ensure customers are provided with the best price and performance ratios. The 9SX has a power factor of 0.9, which means it provides greater real power (watts) to ensure more protection of equipment. It is also designed to be even more reliable, thanks to a robust topology and it uses double conversion technology to constantly monitor power (voltage and frequency) conditions and initiate automatic bypass in the event of an overload or UPS failure. When paired with virtualization-ready Intelligent Power Manager software, monitoring and management of the 9SX can be managed in virtualization management platforms, such as VMware, vCenter and Microsoft HyperV. This enables IT professionals to easily configure policy-based automation for power events, such as automated disaster recovery policies, controlled shut down, load shedding and cloud orchestrator integration.